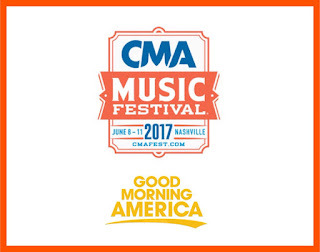 Tune in to Good Morning America on ABC this morning for an exclusive CMA Fest announcement! Here's hoping it's a good one! Update: Announcement was that Thomas Rhett and Kelsea Ballerini will host the ABC special "Country's Night to Rock." We were hoping for more substantial news!